and a choice of dining experiences. and the shops of Napa and Sonoma. Rolling vineyards surround Carneros Resort and Spa, a luxurious Napa Valley retreat just an hour’s drive from San Francisco. Groups escape into an authentic wine country experience brought to life through welcoming service, an intimate atmosphere, and site-sensitive design that celebrates Northern California’s early 20th-century agricultural and winemaking heritage. The 100 cottage-style accommodations cluster throughout the 28-acre property. They all feature private patios and garden courtyards, along with fireplaces, flat-screen TVs, and complimentary wireless internet access. The 15,000 square feet of indoor and outdoor event venues range from panoramic-view dining rooms and a vineyard-edged meadow to state-of-the-art meeting rooms and ballrooms. Meeting planners also appreciate a choice of fully customizable services that fulfill their operational needs, including a highly upgraded, private, secure internet network available for purchase. While the conference services staff manages every meeting detail to perfection, the culinary team turns out delicious wine country fare. Receptions and dinners can take place at the Hilltop Dining Room and its adjoining patio — a private, guest-only restaurant — or at Carneros Resort’s signature restaurant, Farm, which offers a dramatic space for private dining. The sophisticated cuisine takes advantage of locally grown ingredients and is paired with award-winning wines. Between sessions, participants can opt for pampering at the spa, workouts at the fitness center, laps in the pool, shopping at the on-site boutique, or visits to the wealth of nearby wineries. Lovely cottages with a warm and inviting atmosphere. 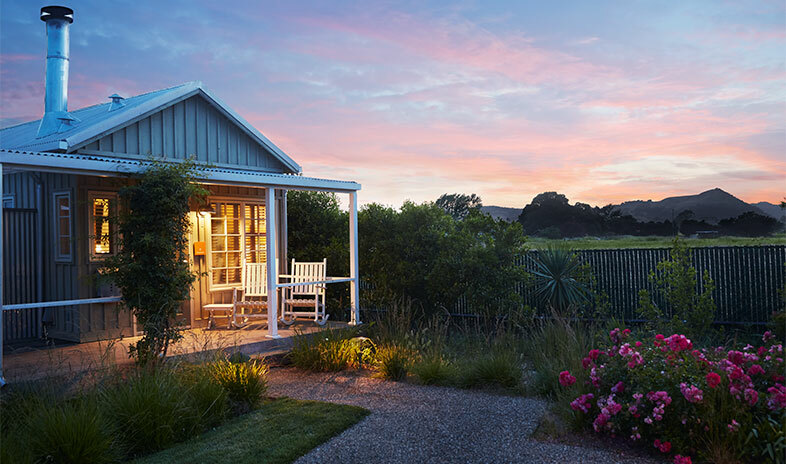 The Carneros Inn is a wonderfully, magical property. I have been in love with this destination for many years. In my side I coordinated a wedding here and Brooke, was absolutely fantastic. The apple orchard was ideal for the ceremony, but could also be used for corporate team building activities. The spa was perfect for pre wedding day pampering, but is also amazing for spouse events while a conference is going on. The meeting space is a bit limited for corporate, but with only about 100 rooms, which are individual cottages for each guest, I imagine it works very well for a smaller meeting that only needs one or two meeting rooms. Farm is the restaurant on site and the kitchen that prepared the Catering food, are both great. I highly recommend The Carneros Inn for social and can see that it would work well for corporate events. Love this property. It is perfect for a high level executive retreat. I am just waiting for the right event to bring here, but in the meantime have recommended it to two fellow planners who are planning to bring programs here. I LOVE this property. I was concerned at first as there was a major renovation happening but the experience was great, the service food - all great! I can't wait to go back. Our client selected this property two years in a row to host their client event. Location and setting are very unique, and service is outstanding. Meeting room is beautiful and much more comfortable than your typical hotel ballroom. Sleeping rooms are quite comfortable and unique, as well. I can highly recommend this venue if you need to impress your guests. Such a unique experience! Very relaxed, comfortable, and high-end yet without any airs or pretentiousness. How do they do that?! I loved my room- everything is very well-appointed. This is a perfect location for incentive groups who are allowed to bring spouses as it's very romantic and quaint. The food is outstanding. The hotel staff is very attentive and thorough. Overall, a great find in Napa! This property has been certified Elite Platinum	and meets at least 25 of Elite Meetings Criteria. This endorsement is an independent unbiased determination granted only to the hotels meeting the standards set by the Elite Meetings Advisory Board. Elite endorsement is never sold or licensed. You do not have any lists, please create one to add this hotel to. For faster response times and easier RFP management, we recommend submitting your RFP to no more than 7 hotels per destination. Learn More. This page provides an overview and quick details about this hotel. The "At a Glance" section summarizes key facts on guest rooms, renovations, average rooms rates and seasons, resort fees, taxes, and airport proximity. If you just want to quickly check availability, you can use the "Check Availability" button on this page. When you hear back from the hotel you can then send them a Request for Proposal. Under "Amenities" and "Dining" you can quickly review onsite and offsite recreation and activities, food & beverage average pricing, and onsite dining options. we'll send it to you. I remember my password! Let me sign in. Note: We do not share or sell member information.